O2 UK have finally begun rolling out the Lumia Denim update for selected Lumia smartphones but for those receiving the update on the Nokia Lumia 930, it comes with a particular feature missing. One of the highlights of the update is the “Hey Cortana” voice activation but the Denim update for Lumia 930 users comes with this feature missing. We’re trying to get the updates out sooner by streamlining the test and approval process. As a result, we were trusting Microsoft to test the O2 software updates for us and provide the results of the tests for us to approve, rather than us testing it, releasing back, and waiting for it to be pushed. In the case of the Lumia 930, the Cortana issue was missed by Microsoft, so we will be working together to improve the process for future updates. Microsoft have identified the issue and have fixed it – as a result, the previous 930 update has been put on hold until it’s replaced with the fixed update which we hope will go out soon, though no ETA has been provided. So for now it looks like O2 has released the updated and then pulled it again. Looking through the rest of the thread, it seems that other Lumia users (specifically a few with the Lumia 1520) have received the Denim update and “Hey Cortana” is present. Have you received the Lumia Denim update on your O2 handset? 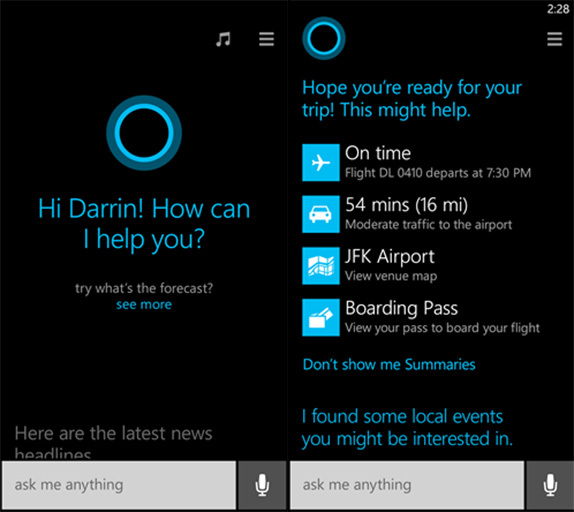 If so, let us know in the comments which handset you have and whether the Hey Cortana feature is present.